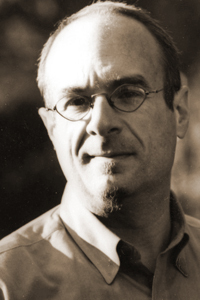 Brian Bouldrey is the author of four novels, including The Sorrow of the Elves (GemmaMedia, 2011) and three works of nonfiction, including Honorable Bandit: A Walk Across Corsica (Terrace Books, 2007). Bouldrey is the series editor for Gemma Open Door, novellas for new readers. He has has edited seven anthologies, including Wrestling with the Angel: Faith and Religion in the Lives of Gay Men (Riverhead Books, 1995) winner of the 1996 Lambda Literary Prize in Spirituality. He is a senior lecturer at Northwestern University.